A dojo (道場 dōjō?) is a Japanese term which literally means “place of the way”. Initially, dōjōs were adjunct to temples. The term can refer to a formal training place for any of the Japanese do arts but typically it is considered the formal gathering place for students of any Japanese martial arts style such as karate, judo, aikido or samurai to conduct training, examinations and other related encounters. 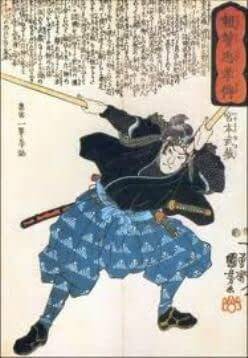 The concept of a dōjō as a training place specifically for martial arts is a Western concept; in Japan, any physical training facility, including professional wrestling schools, may be called dōjō because of its close martial arts roots. A hombu dōjō of a style is the administrative and stylistic headquarters of a particular martial arts style or group. This expression is specific for the gathering after a successful training session at a preferred restaurant or bar. It not necessary has to be of Japanese style, however it does feel somewhat proper to go to a ramen, or Tempanyaki style restaurant. Over an (asahi) beer or two, attendants swap stories of past encounters, techniques while replenish fluids and fuel in form of healthy Japanese food. The second dojo forms bonds between Sempai’s and Kohai’s and is an important part of a healthy and effective dojo culture & relationships. It is pretty much the same way as one would address a stranger in a public place. The same etiquette (behavior, show of respect) applies in the second dojo as in the real dojo. A kohai is polite, helpful and shows certain signs of respect when talking to his/her sempai and or sensei. Sho – dan’s and higher ranks are addressed with name + sensei. Queue ranks address each other by name. The right side of your sensei is the honor spot. This goes back to the days when samurais where carrying swords. The person to one’s right can control the sword arm hence has the most influence. Lower ranks refill beverages to higher ranks and following Japanese culture one does never refill one’s own glass/cup. Pay what you consumed and everyone likes a generous person. Have fun and enjoy, but listen to your Sempai (aka: senior student) should you hear: “You might had enough for today.” As it is the duty of a sempai as well as a Kohai (aka: junior student) to be helpful to one-another. What are the rules for doing Budo? Respect your Dojo and your Sensei. Train with an empty mind and do not judge or make assumptions. Do not challenge the Sensei on principles or perceptions. Refrain from making quick decisions about your progress. Remember Sensei is your Sensei not your friend. Think before you speak and choose your words carefully. Even if your Sensei is not Japanese do not underestimate him. Refusing to listen or contradicting your Sensei is taboo. Remember in the Dojo we relax and enjoy and control our bodies and emotions. Do not patronize your Sensei or Sempai (aka: Senior student). Your ‘ego’ is your opponent, so learn to control it and strive for humility. Do not constantly talk and repeating yourself to Sensei, learn to keep silent. Once you cross the line with your Sensei by insulting and or refusing to listen, then you’re going to be lost from Budo. Believing you know more about right or wrong than your Sensei only shows your naivety and ignorance. Reflect on your being a part of the Budo universe. Do not question your Sensei’s integrity. Strive to understand your body and shut down the world around you and be an integral part of your Dojo.